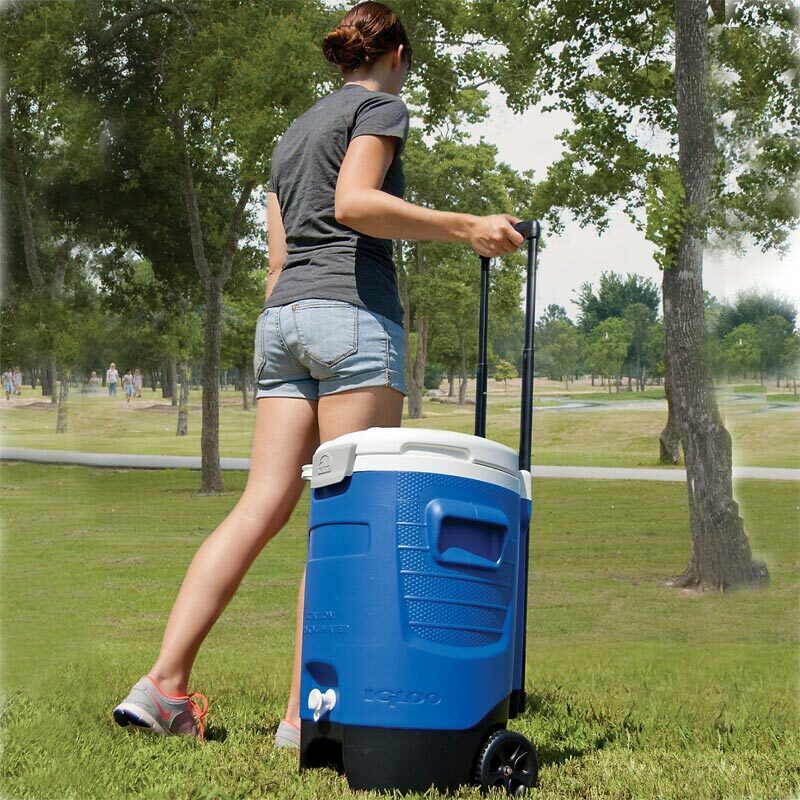 From the jobsite to the sidelines, the Igloo 5 Gallon Sports Roller delivers mobile hydration for everyone, featuring rugged, stable wheels, a pressure-fit lid that won't spill and the kind of industry-leading cold retention you to keep your drink cold and refreshing on long, hot days. Holds 5 gallons (18.9 litres). 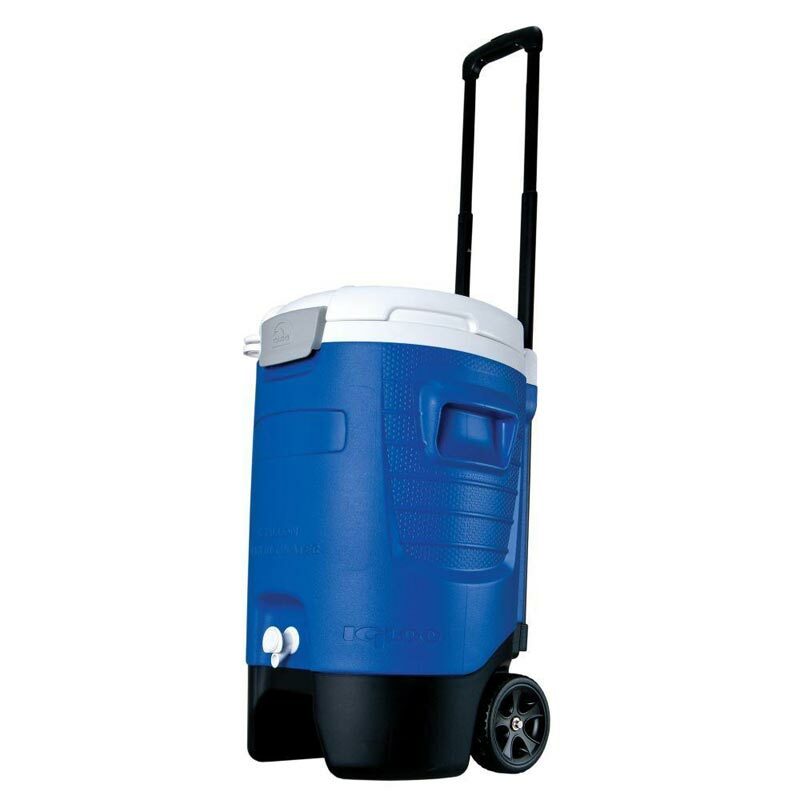 Sturdy, wide inset wheels and locking, telescoping handle lighten full-jug carrying load to and from the game. Gear hangers on handle securely hold totes, bags, and more. Cool Riser Technology™ improves cooling performance by elevating away from hot surfaces. 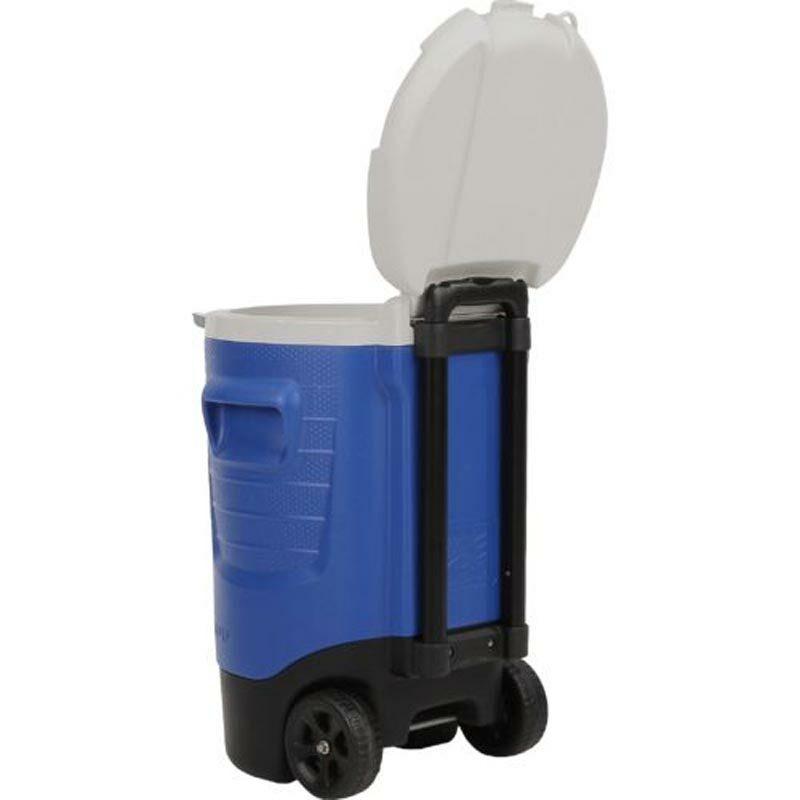 Gasketed, leak-resistant lid with secure latch keeps liquids on lockdown during transport. Push-button spigot is recessed and angled spigot for easy, leak-free dispensing. Ingenious elevated design keeps spigot clean and provides better accessibility when filling cups and containers. Molded-in side handles to ease lifting and loading. Top - 9.25" x 8.25" x 13.63"
Bottom - 8.82" x 6.25" x 13.63"